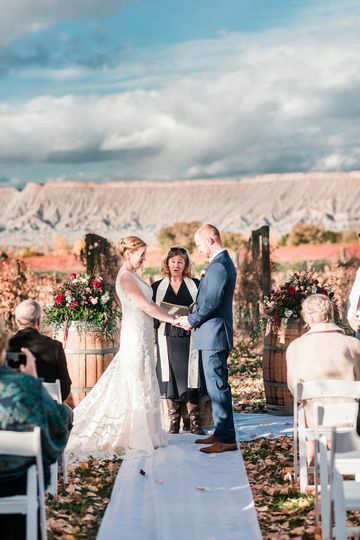 Wine Country Ceremonies is a wedding officiant service based in Palisade, Colorado, bringing the couple's spirit to their own custom ceremony. 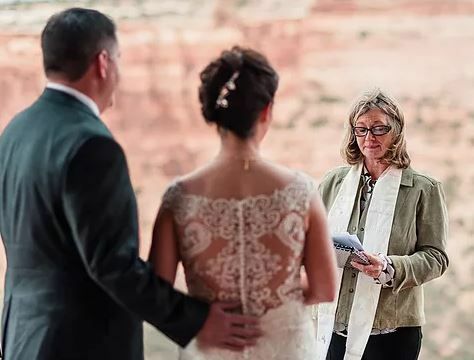 The company strives to make sure that your one-of-a-kind ceremony reflects your personal beliefs and life philosophies, allowing your personality to shine through. 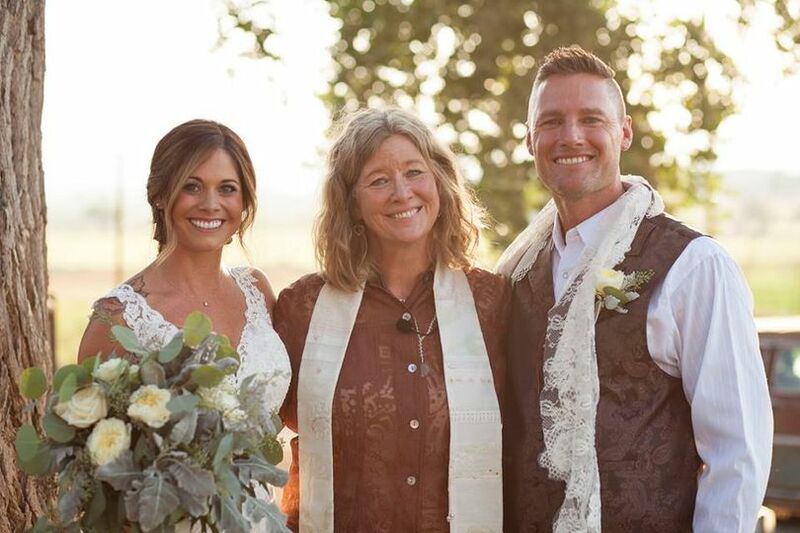 Owner Kathi Roy will take the time to get to know you so that she can translate your love story and your traditions into a personalized ceremony. 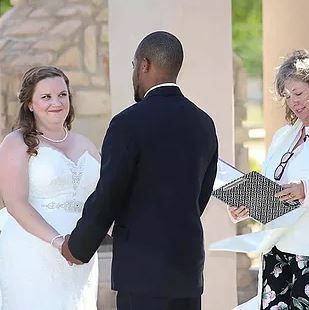 Her motto is, “Your voice, your choice, your ceremony”, and she welcomes couples from all walks of life, officiating traditional, non-traditional, non-religious, and religious ceremonies for couples who want a fun, meaningful ceremony. 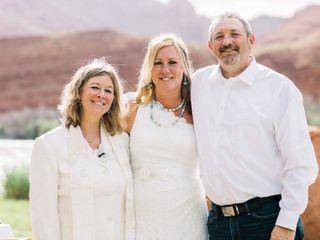 Kathi was a pleasure to work with while planning and conducting our elopement ceremony. She ensured that the tone and content of the ceremony was tailored to our personal style, preferences, and our story. We loved making her part of our special day and would highly recommend her services! After filling out a short questionnaire, the rest was in her hands. Very stress free. Kathi provided an amazing ceremony for our wedding. It was personalized just for us and couldn’t have been more beautiful. She was easy to work with and gave us multiple options when it came to our vows, promise, and prayers. I would highly recommend her. Kathi was absolutely amazing! 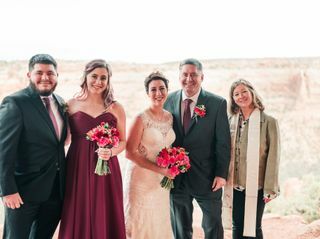 Although we didn't meet Kathi until the day of the wedding due to living out of the state, she created the perfect ceremony for us and our personalities. It was like she had known us for years. 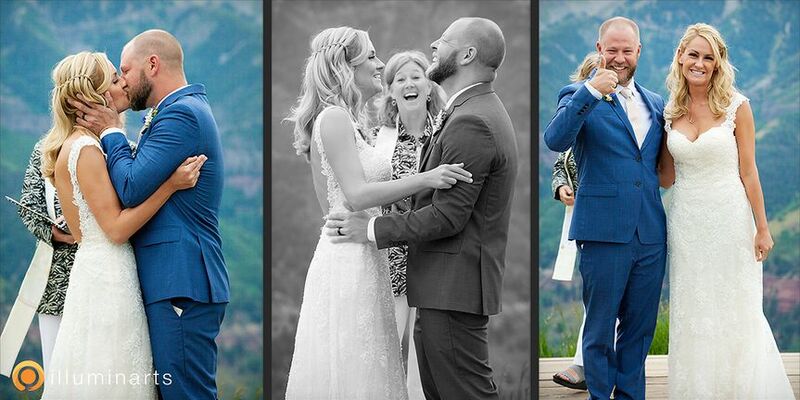 We got many compliments on the ceremony from our guests saying how fun and genuine it was and how well our personalities were incorporated into it. 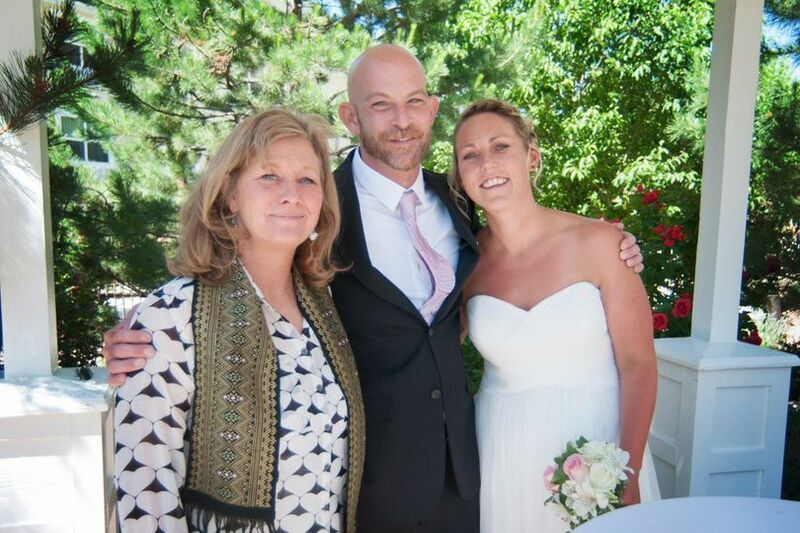 When working on the ceremony, Kathi was open to all suggestions we had and was very timely in her response. She was always available for questions and willing to do whatever it took to make the ceremony perfect. 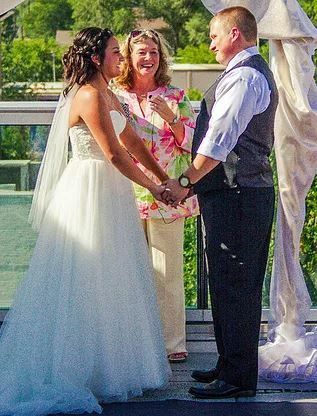 Do yourself a favor and book Kathi to officiate your wedding, you will not be disappointed!